Do you feel an aching pain when you breathe in cold air, or when you have hot or cold beverages? That probably means you have sensitive teeth, also known as, dentin hypersensitivity. Sensitive teeth are very common. As a matter of fact, 50% of the world experiences tooth sensitivity. 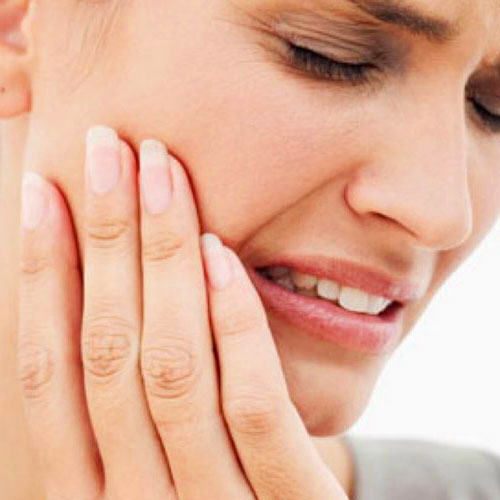 Symptoms of tooth sensitivity come and goes. Our teeth consist of a few layers: Enamel is the hard outer layer which coats and protects the inner layer called “dentin”. When the enamel is worn down, this exposes the dentin. Dentin is made up of many microscopic channels that run from the surface to the center of the tooth – the pulp (nerve). Once dentin is exposed, eating or drinking hot or cold beverages can easily trigger signals in these channels irritating the tooth’s nerve resulting in pain. All of these factors are a result of enamel wear, however, cavities or physical trauma can also cause tooth sensitivity. Opt for soft bristle toothbrushes, and brush lightly especially around the gumline. The gumline wraps around the neck of the tooth in which the enamel layer is the thinnest. Reduce intake of acidic foods and drinks such as soda, or squeezing lemon in your water. Switch from regular toothpaste to sensitive toothpaste as there are components in the toothpaste that provide a thin protective layer on your teeth. In order to get a proper diagnosis and/or treatment for your tooth sensitivity, book a checkup appointment with our Newmarket dentists today! What Is Tooth Sensitivity?, www.colgateprofessional.com/patient-education/articles/what-is-tooth-sensitivity.